This small hotel offers a relaxed and friendly atmosphere, perfect for a well deserved family holiday. Leisure facilities at the Green Golf Hotel include an outdoor swimming pool and sun terrace with loungers and parasols; an indoor swimming pool (heated in winter) with a relaxation area, a tennis court and a children's playground, a hammam, a sauna, massage treatment room, mini golf, petanque, pool and table tennis tables. 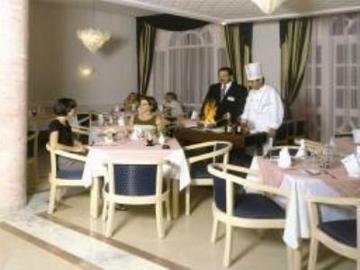 The main restaurant offers buffet and table d'hote services and the A la Carte restaurant specialises in Tunisian dishes. There is also a pizzeria and snack bar with a pool-side terrace and a lounge bar. 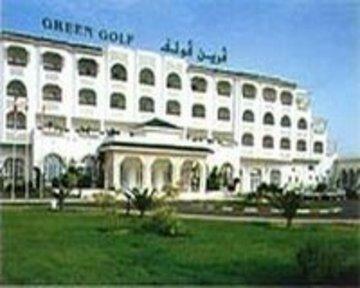 Green Golf Hotel has 146 guest rooms, spread over 3 floors, with lift access. The rooms are en-suite and have a balcony or terrace with views to the garden, the pool or the sea. Rooms also feature satellite TV, a telephone, a fridge and air conditioning (mid June to mid September). Green Golf Hotel is located in the holiday resort of Yasmine Hammamet, set just 250m away from beach and opposite to the Marina. There are 2 golf courses nearby and water sports are available at the beach (local charges) such as pedaloes and windsurfing. Hammamet Yasmine is approx 51km from Enfidha Airport, 61km from Tunis Airport and 111km from Monastir Airport. Friendly staff, everything catered for. Had a nice holiday. The hotel staff were very friendly, the hotel was clean and the dining room was nice. It is the type of hotel where they do not get in your way they are not trying to sell you trips etc. They will advise you where to go if you want to go on a trip. It is excellent value for money.